I am sure that I am not the only person in this position. My current WIP / UFO list currently looks a little like this. Yikes that's an even Dozen! Looks like I really need to make myself accountable. And look they are all quilts except for one wall hanging (Mrs. Beasley Sampler). 7 of them are heavy on the Embroidery / Applique. To try hard to finish some things before the end of the year and try really hard to avoid any starts. I am going to pick one project at a time to work on. Something that I am obviously not that good at doing! I'm not even going to attempt to list the projects that are sitting here all ready to go and the other BOM's that I am currently stashing! So, the first project on that list that is going to get my attention? Thought I had better work on this one before Miss Lily outgrows it. and all the rest ready to go. Good luck Sharon. I'm sure the way you get sewing done, you'll manage to knock quite a few of these projects off. You've put it out there now.......we will all be keeping an eye on you! They are all too gorgeous not to be finished. Good luck? Don't worry your not the only one . Some times you just have to start another. 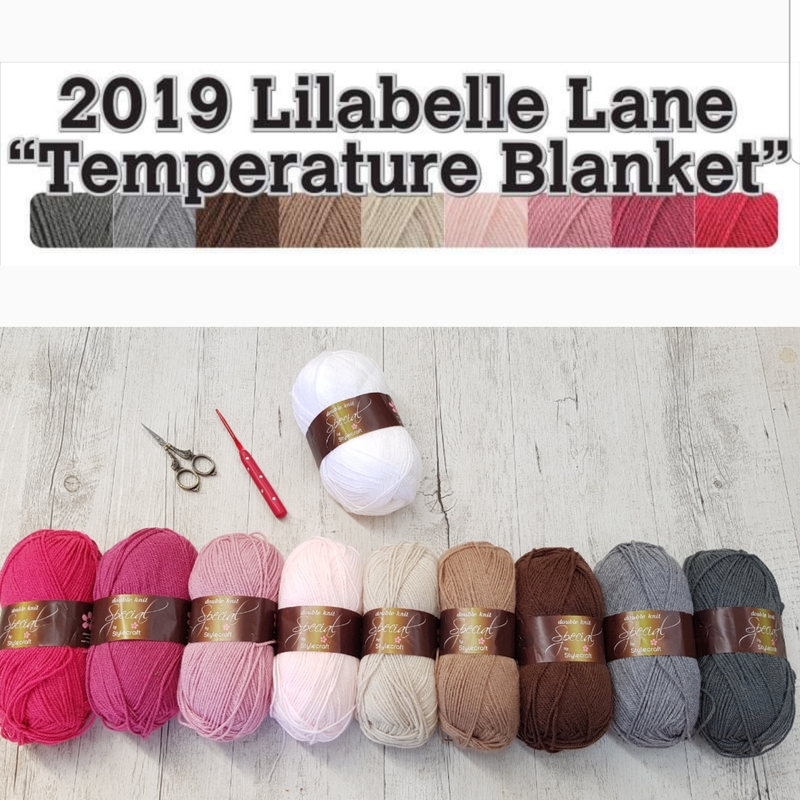 Brave decision, don't think I could do this as I'd have to add a crochet list as well and then I'd have a complete meltdown LOL. Good luck with finishing off a few before starting a new project....or two :) Barb. Good luck! No pressure....we will all be watching. Sometimes you have to take a stand, then go for it. Goodness Sharon!! And I thought *I* had too many on my plate ... but then, you DO seem to pound out your projects, so I'm 100% sure you'll get these done quickly and you can get some others started soon too, lol! ... Did your Dolly & Me quilt come in kit form? ... And where did you get this one from? ... lol! I think I've added quite a few to my *wish to start soon* list ;) Good luck getting through this list!!! Hugs!! This is the CUTEST bom around, for sure! Yes, get working on it so we can see more! ;D And hey, if you ever feel like your WIPs/etc. are out of control, just stop over at my place. There are several of us in my boat who can make your list look tiny. heh! 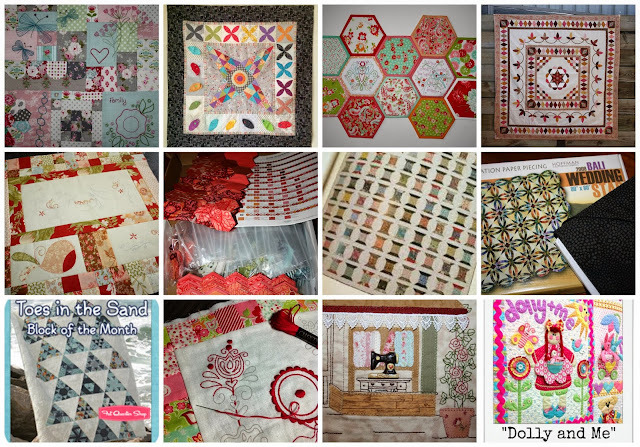 Half the fun of being a quilter is so much choice. You're definitely not alone. Wishing you the best! I feel your uneasiness with all these WIP however as Lynda said, isn't it wonderful to be able to choose? I really like having lots on the go but it is nice to finish something every now and then! You have also completed a lot in the meantime too! Oh you will cave and start something new! I know it - you won't be able to help yourself. Now I've said that you will be all the more determined to prove me wrong! Good luck! Love all your wips! Good luck Sharon. The chosen quilt us adorable. Miss Lily will love it. 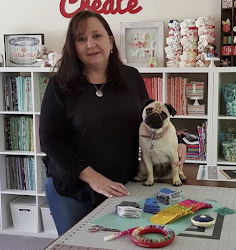 Good luck Sharon - it is always hard to get things finished, when there are so many new and wonderful things coming out!! 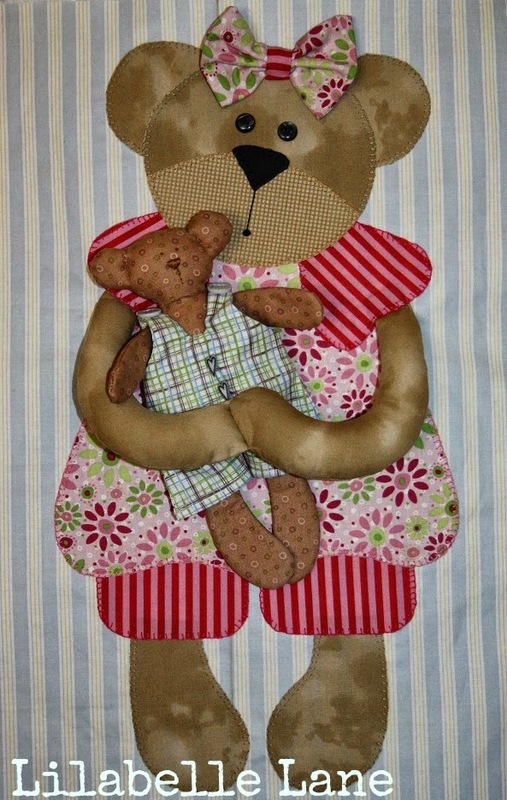 Love the teddy bear block....I reckon you will get them done in the fullness of time, don't be too hard on yourself! You can do it!! The worst bit is going to be resisting starting more projects. Maybe you should stitch yourself some blinkers to keep your eyes firmly on the goal. You are so brave listing your ufo's like that. I come out in hives just thinking about mine. If it's any help I'll slip on my ra ra skirt and shake my pom pom's for you... just don't expect any pics of that! :o)) Good Luck!! That's quite a list....but I love the fact that you choose quilts that have a lot of work in them and will be worth it in the end. How are you going with this one now Sharon?! !